No one really talks about the reality of our sport (in this capacity) as far as I’ve seen. I guess that’s where I come in again. I’ve tried to write this blog so many times. I have so much to say and just haven’t been able to figure out where to begin. “Ok. So where do you practice? So… That’s essentially how the conversation goes with someone who isn’t a racing fan and doesn’t quite understand racing; even potential sponsors. I’m still working on a cleaner, smoother “elevator pitch” on this situation. Oh how I wish I had a better way to put it, but I don’t. What comes after this is sometimes a series of questions (whether in their head or actually asked) struggling to understand, if you’re talented and have been racing for 20+ years and are “so great”, why wouldn’t someone sponsor you or give you a chance? I guess the first reason they have these questions is because they can’t fathom how much it really is. The truth is…the total budget of programs I am focused on go into the seven figures. Perhaps another reason they have these questions is because they don’t know how many truly talented racecar drivers fizzle out and don’t get opportunities just because they didn’t know the right people, have enough business sense to put a deal together, or a parent that had enough money to get them to the place where they could be noticed or fund their entire career. Our sport is not much different than other big business industries. Except that it’s a sport, which operates like a business. For a driver, who you know is important and how much money you’ve got is even more important. I don’t feel like I have to go into too much detail about this, I just want say it how it is… for the record. I also don’t want to disregard the talent that the racers who are actively racing have. I just want to highlight that a lot of racers who are talented, are on the sidelines for many reasons, most of which don’t have to do with a driver’s ability or potential. Most of the time, these racers have teams who would love to have them as drivers and just don’t have the funds to make it happen. Although it has been a struggle to get the right pieces in place (sponsorship) to be racing consistently, I continue to believe in the huge value of the motorsports platform for companies who invest their marketing dollars in it. And I don’t have to believe it because the statistics and facts speak for themselves, time and again. Racing fans are the most loyal in all of sports. They know that companies who sponsor their favorite racers and teams are what enable them to race and in turn, support those companies by purchasing their product or service. For me, the struggle has been finding someone who will be the first to take the chance. I have always known it will take a very special person/company to not only see my vision, but also not be afraid of the power that it will have. That’s why I’ve continued on this path and what I try to keep in perspective when I get disappointed. Intangibles are scary, that’s why I know it will take a big-minded dreamer like me to go for it. I focus on the fact that it may take a million no’s before I find the right partnership, and believe that one day soon, someone will see my vision because I know the opportunity and its value is too great to be abandoned. Here’s a little bit more on my story. About the time that I started putting more focus on pursuing my career professionally (when I was 15), my family and I started realizing that the level we were at was pretty much the final string. And right when we were able to start turning some heads (in a single season of USAC), we were drained. 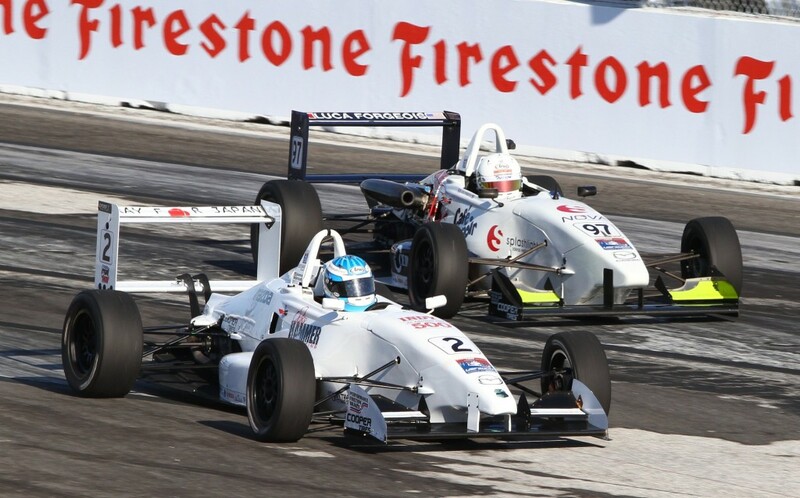 For us,the United States Auto Club was the ultimate series to compete in. 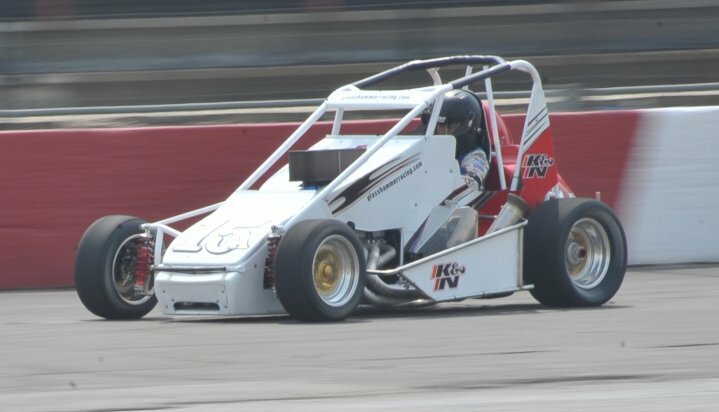 We knew that we would not be able to afford to continue much longer and USAC was known for its incredible racing and producing racers such as Jeff Gordon, Tony Stewart, Ryan Newman and Kasey Kahne. 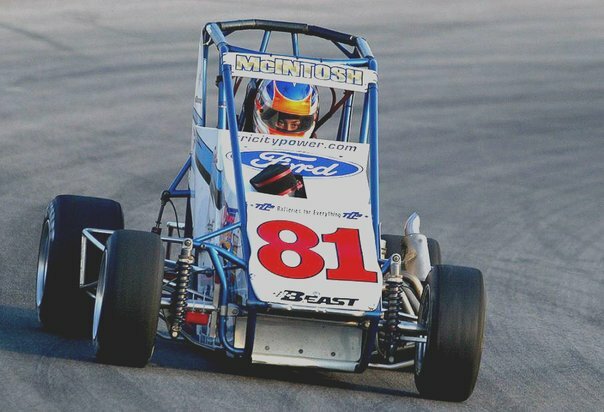 It was 2006 and we had made the final plunge in order to move up to the next level from (dirt) Micro Sprints to the USAC Ford Focus Midget Series. The Ford Focus Series was created to be more affordable for smaller teams but even then, we struggled to make ends meet and essentially had to get a big loan to get the program up and going (I’ll write more about this one day). That year, we also went door-to-door to all the local small businesses looking for about $500 a week just to get to the racetrack because the sponsor who had committed pulled out at the last minute. We didn’t know if we would make it to the races each week and I had to be sensitive to the fact that if we incurred crash damage, our hopes of racing the entire season could be destroyed. That year was my first and only full year in the series and first time back on pavement in 4 years. 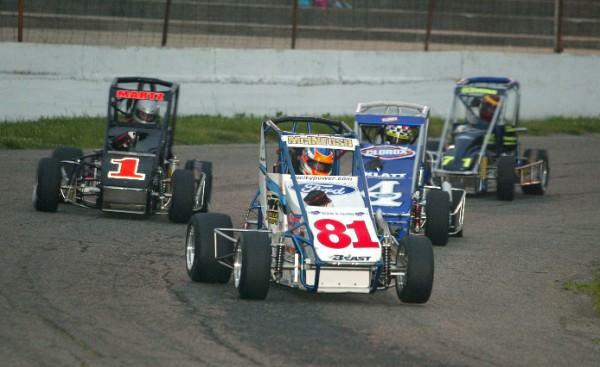 (I raced Quarter Midgets before moving to dirt cars from age 5 to 11.) We missed one race but still had the most heat race wins and finished 5th in points with 15 top-10 finishes. We didn’t have the knowledge that other teams had. My mechanic (my dad) and I learned as we went and did as much research as we could to figure out the best car setup for the tracks we went to, sometimes not getting it right. We most certainly were out of our league as far as experience, knowledge and money goes, which made the results we did produce that much more impressive. Conversations began and “important people” started watching to see what I could do right about the time that we had to “pull the plug”. I went to college in Charlotte the next year with hopes of meeting and mingling with the right people but school full-time and working multiple jobs didn’t allow me to focus enough on racing. It was this point that I knew I would have to be more creative in my approach to getting opportunities. After that year of school, I moved back to Ohio, became a nanny and was able to put together sponsorship to get back in a car in 2009. In my first race in two years in the Focus Midget, we qualified 2nd but our time was disallowed because we were light on the scales. We had to start at the tail of the feature race and had no heat race. Despite the adversity, we raced our way up and finished 3rd. That was a good day. The following year, I moved to Indianapolis and secured my first real sponsorship deal and established “Glass Hammer Racing” with Greg Gaich. This gave me the opportunity to drive for legendary car builder Bob East in four USAC Midget races. Although I hadn’t raced consistently since 2010, I tested the car for the first time, on the day of my first race and scored a 7th place finish out of the gate. This was my second time ever driving a 900 lb. 400 horsepower USAC Midget. In the following races, I finished 4th, 3rd and 2nd place. After 2010, the Mazda Road to Indy started gaining traction and the idea of an American IndyCar champion was the conversation. At the same time, the potential sponsors I was in conversation with were IndyCar fans. 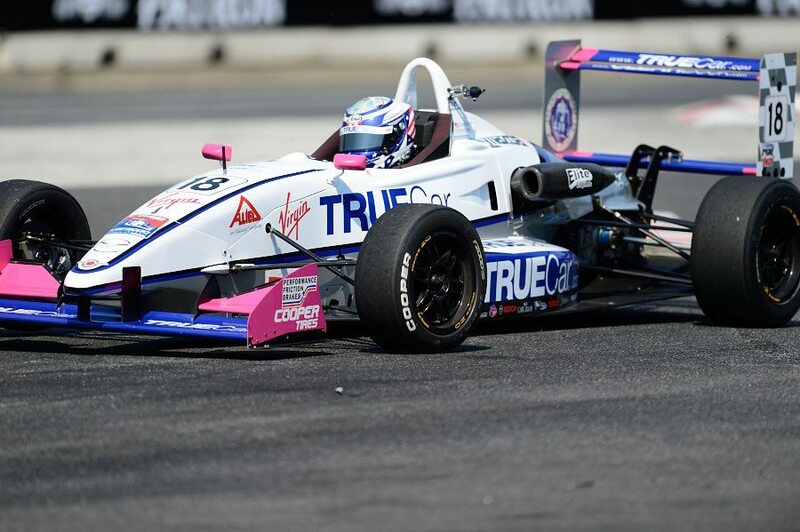 I have always said I’ll drive anything and although I had never been in a go-kart or on a road course, we secured a deal to go road course racing in The Mazda Road To Indy’s USF2000 Series in 2011 and 2012. In motorsports, you can compare taking a dirt/oval racer and putting them in an open wheel road course car to taking a hockey player and asking them to compete with the best figure skaters in the country. It was definitely a struggle and along with the on-track learning curve, off-track stressors were quite high. Those two years truly were character building and I will always be thankful for those struggles. After my road racing stint, I knew it was time to put my focus on the dream I always had growing up which was to be a NASCAR driver or World of Outlaws Sprint Car Driver. So, after deciding IndyCar wasn’t the right path at the time, my next step was to get back on my NASCAR path. At that point, I launched a fundraiser on Indiegogo to raise $8,000 so I could test an ARCA stock car and my fans contributed over $11,000! 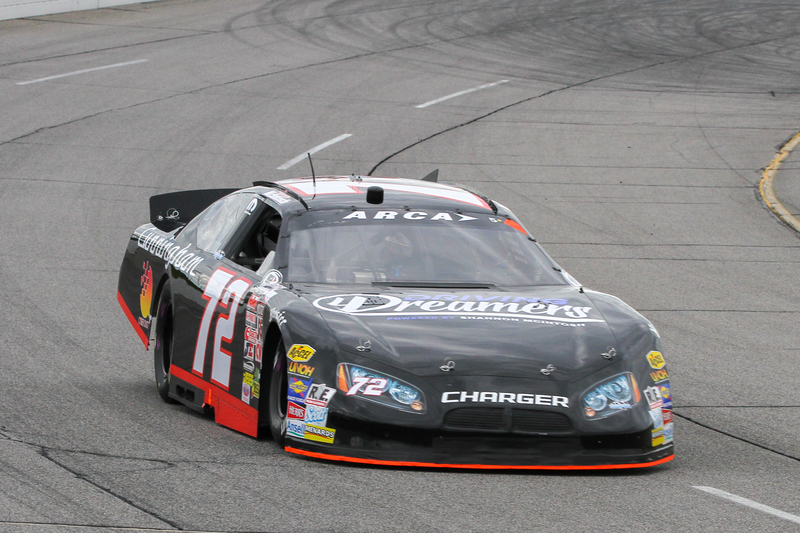 From that point, I was able to do some testing with ARCA Team Cunningham Motorsports (Penske Racing Driver Development) and a race last July at Lucas Oil Raceway Park. After starting 28th, I finished 15th out of 32 cars in my first stock car race, my longest race ever (200 laps), first time doing pit stops and first race in nearly 2 years. This year, I’ve been on the sidelines working on next steps. The season has come and almost gone but my focus is on 2016 and putting together the right opportunities to showcase my talents and provide value to my marketing partners with the platform and story I’ve built. You see, I don’t exactly know why the right opportunity hasn’t come together yet. And it would be easy to complain and ask why I still haven’t been given the right chance but that would be silly. I believe everything happens for a reason and all of the diversions my career has taken have built and brought me to where I am today. I can honestly look back and see the many reasons why I wasn’t ready for my “break”. I can wholeheartedly tell you that I believe I am ready, thanks to the lessons I’ve been given and that my time is coming. I am growing as a person and athlete, every day. In my next blog I will share the reasons why I think I would make an excellent spokesperson for a brand, as well as why this story we’ve written can be so powerful and affect so many people for the good. I just need the right person to see the vision.